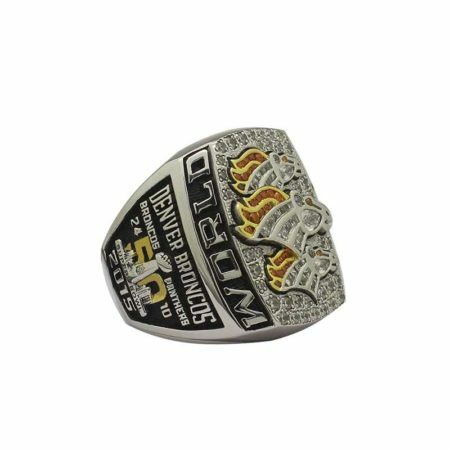 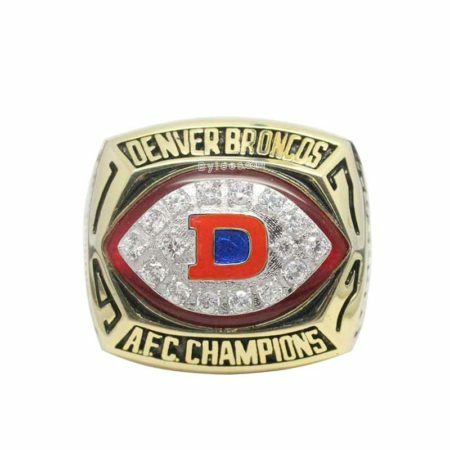 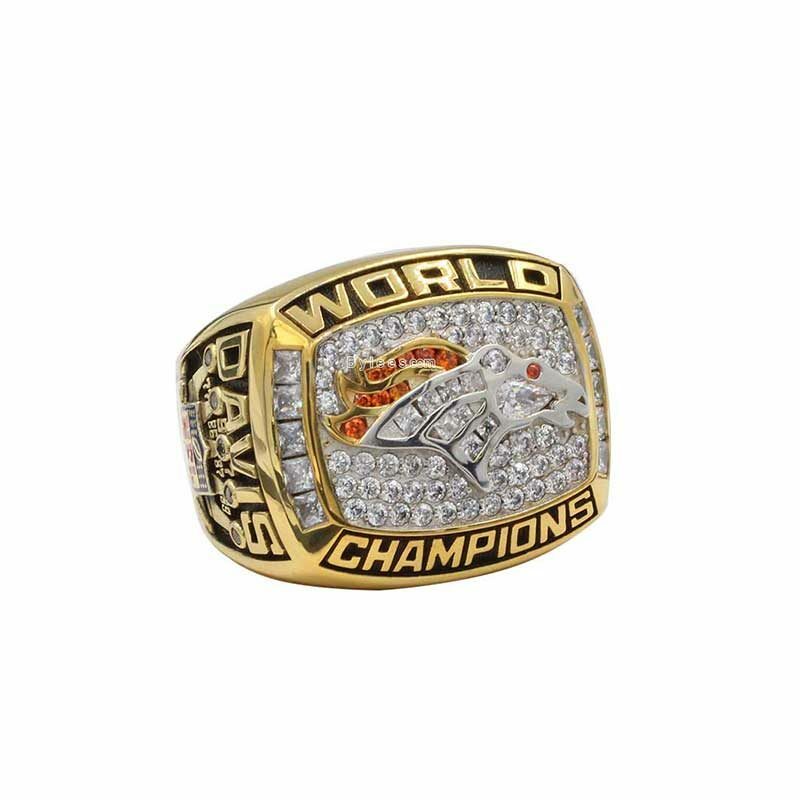 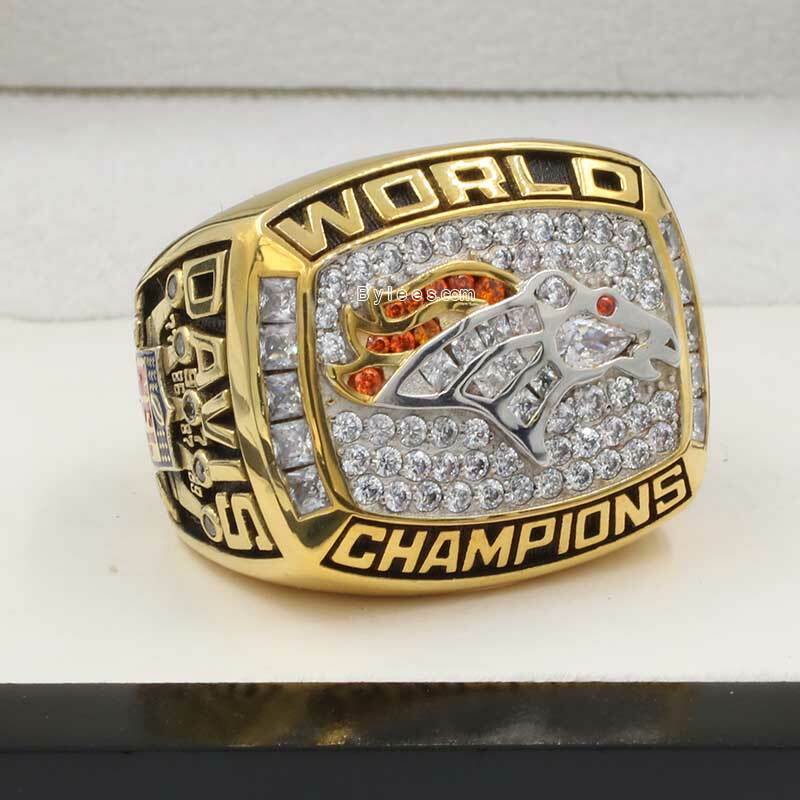 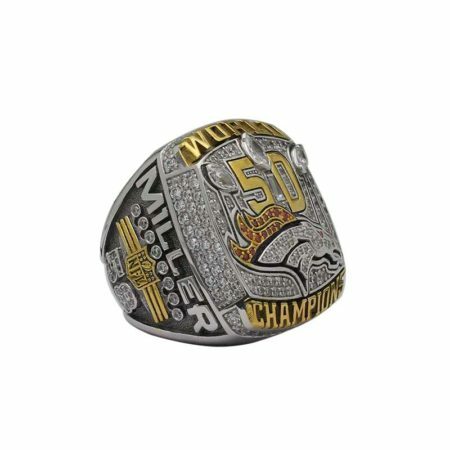 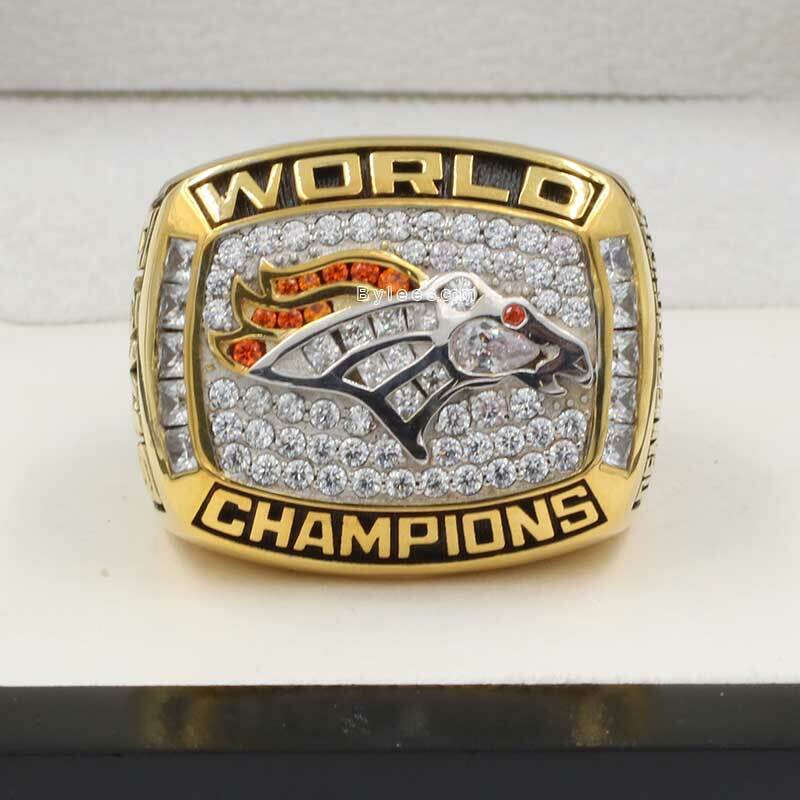 The Denver Broncos 1997 Super Bowl XXII Championship Ring is in spectacular style, with a broncos logo at the center of the top, reflecting the Denver’s first super bowl ring. 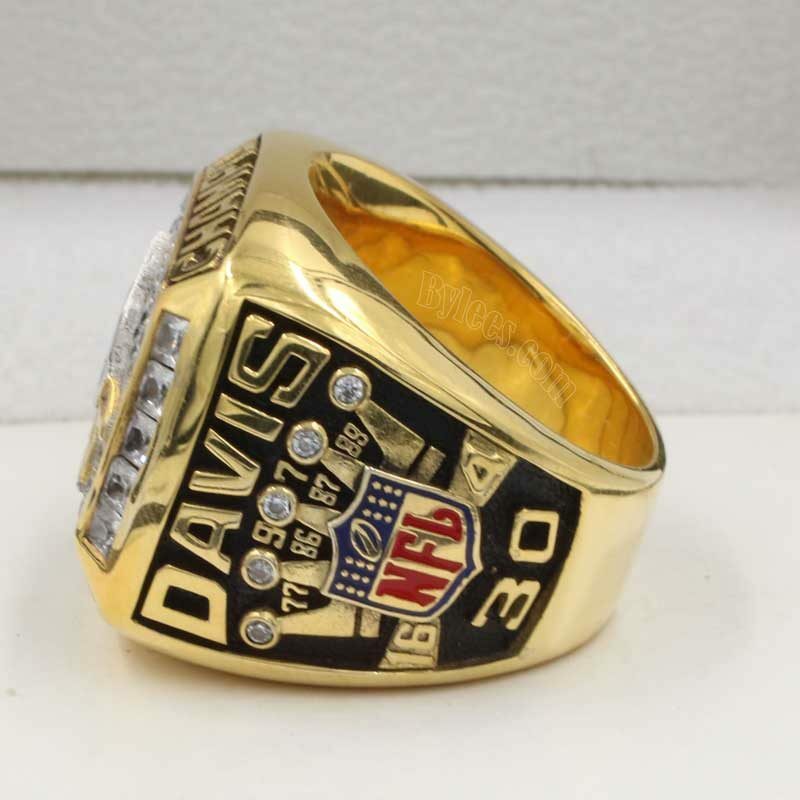 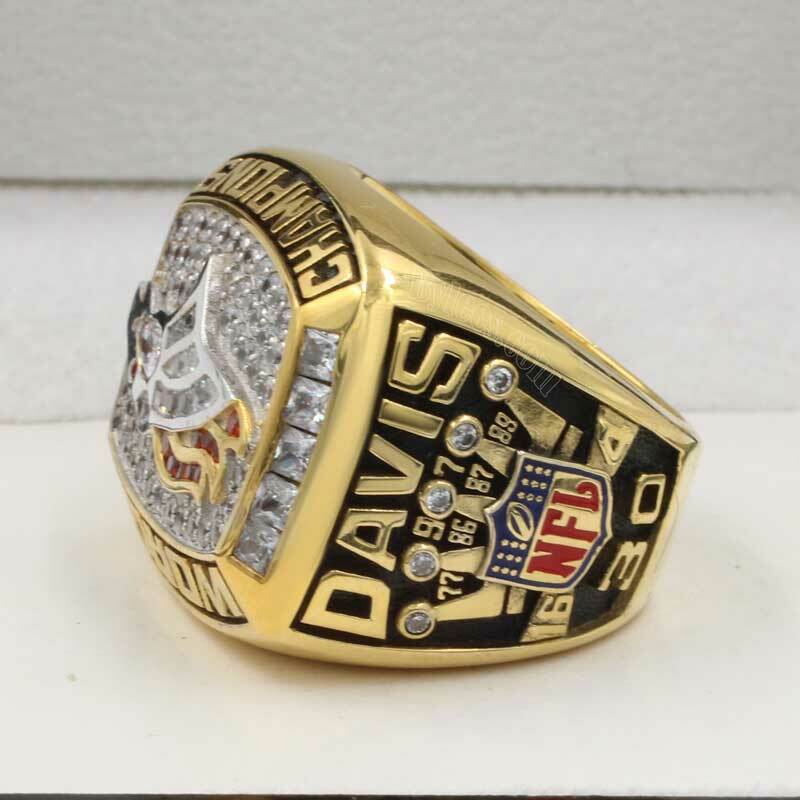 The version listed here is player Terrell Davis’ Ring, who rushed for 100 yards in each of his seven career playoff games, notched 2,000 yards in the ’98 season, scored 21 touchdowns and was named MVP. 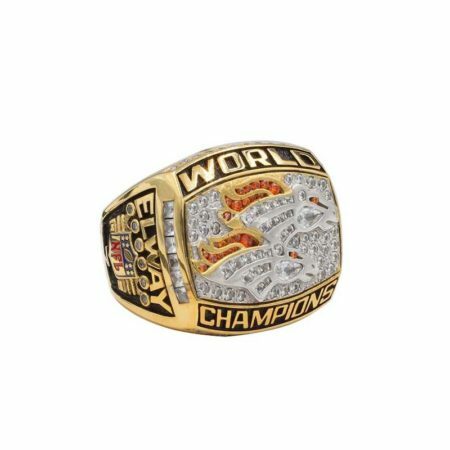 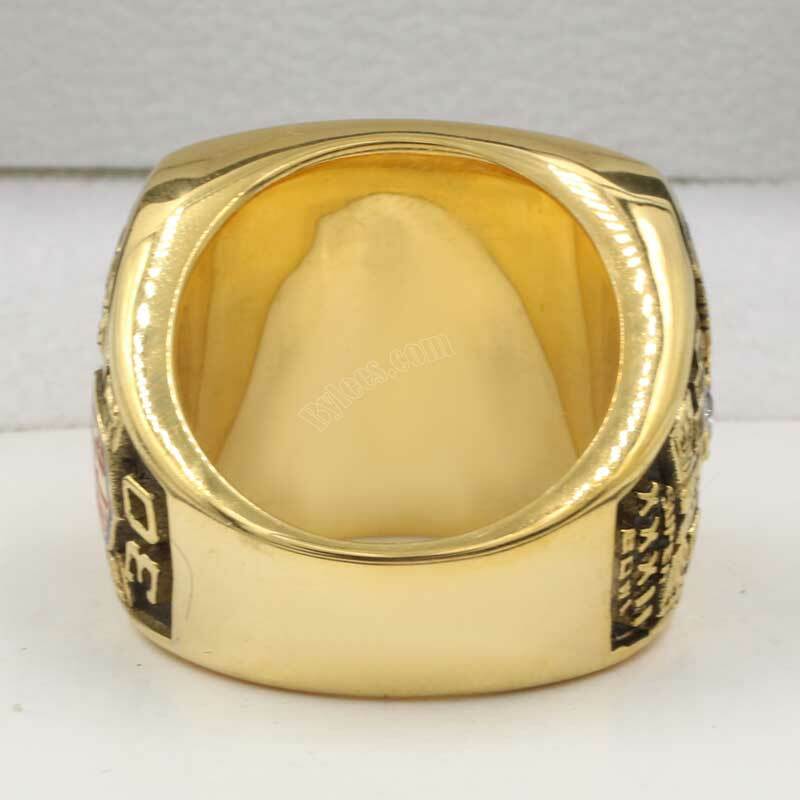 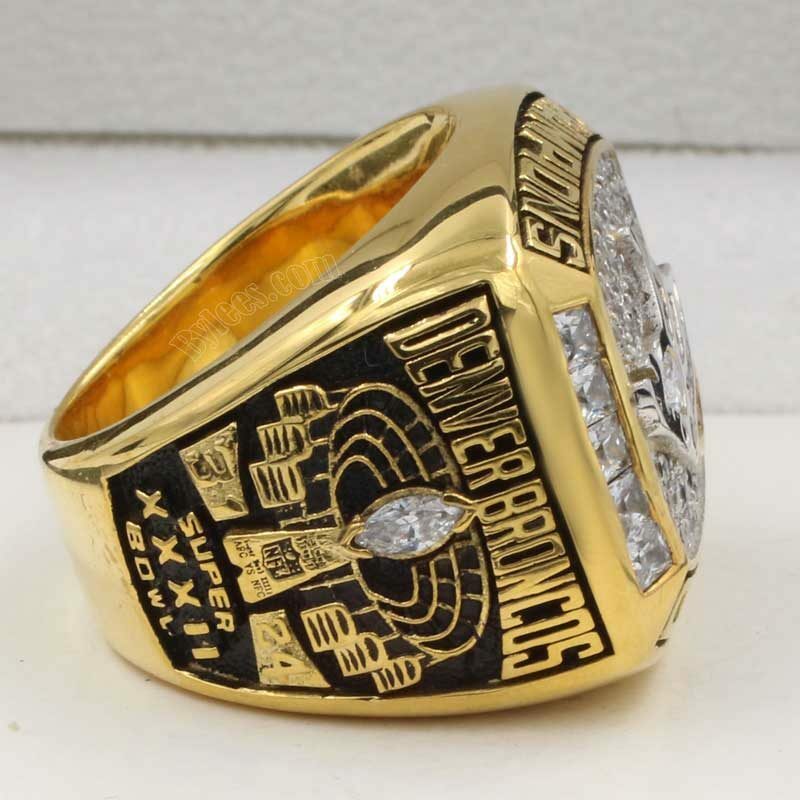 The 1997 Super Bowl XXII Ring also very important to John Elway, after being through the ups and downs in the pass years before this win, He proved himself again with a first John Elway Denver Broncos Super Bowl Ring .